How do you like to have your bananas? I like to have them in my cake. That is because I baked banana cake / loaf on last weekend and it turned out super delicious. The banana flavour got blended so well in the cake that it’s piece tasted just like sweet banana. I like the aroma of cake and while baking this banana cake aroma of bananas filled my house. I have tried many recipes for making banana cakes but this is best from them. Actually I bake cake almost every weekend as my kids love to eat cake. 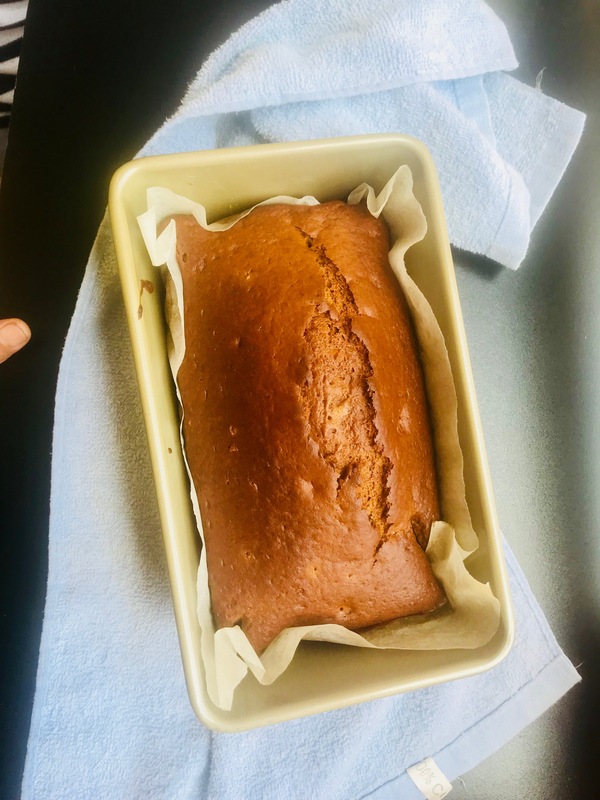 So for making cake guilt free I have used whole wheat flour instead of total Maida in this recipe.For making this cake I have used wheat flour and Maida in 2:1 proportion and it worked perfectly fine. The cake becomes spongy and soft using this proportion of flours. Also no butter is used and yet the cake is moist and soft. I have replaced butter by oil.One more important thing about this cake is its egg less.For making eggless cakes I use freshly set curd.The curd should be made up of full cream milk for good sweet taste. 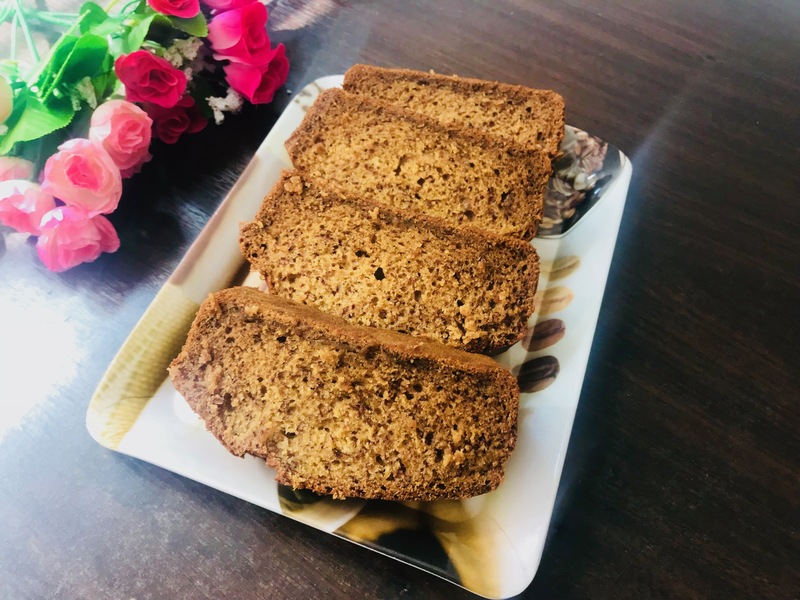 Give a try to this whole wheat flour and eggless and whole wheat banana cake and you’ll love it. Sieve all dry ingredients like flours,salt,baking powder and salt in one big container. Mash ripen bananans in fork in separate contianer. Add sugar in mashed bananans and mix well. Add curd in mashed bananas mixture. Add vanilla essence/extract and banana essence in banans mixture. Add oil in banans mixture mix everything well. Add all dry ingredients in banans mixture and mix well to get the desired consistency cake batter.Pout little water if required. Pre heat oven on 180 degrees and grease cake pan using oil/butter. Line baking paper in cake pan. Pour cake batter in cake pan and bake for 30-35 minutes on 180 degrees. Insert tooth pick in baked cake to check whether it's baked or not. If tooth prick comes out clean take out cake and let it cool on wire rach for few minutes. Banana cake is ready , serve it with favourite topping or as it is. This banana cake looks delicious and is easy to make as well, Thank you for the share!